News from IPTLD & Dr.Donato Perez Garcia,MD : NEED A BOOST? Why Not get healthier with I.P.T.? 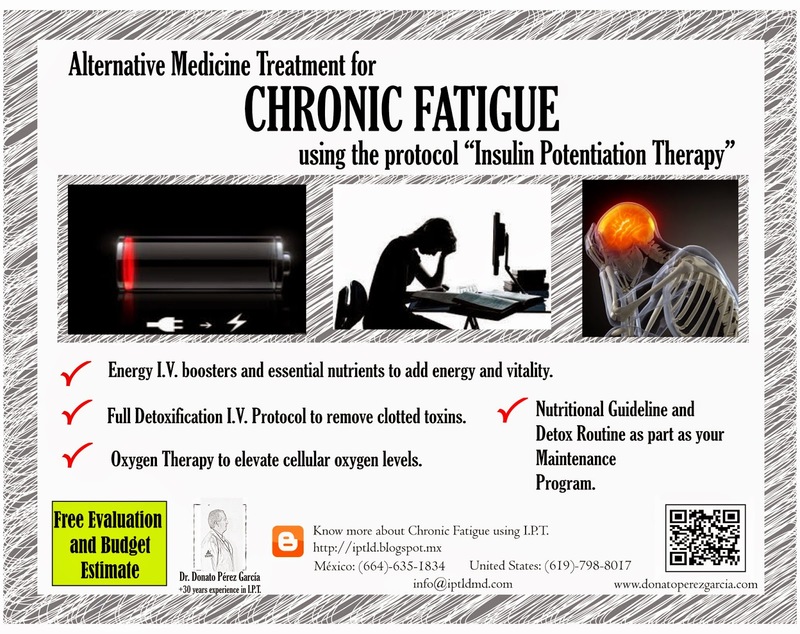 Introducing 3 New IPT Therapies for Chronic Fatigue, Gastric Discomfort and Immune Support, a complementary protocol based on Biological Medicine that will increase energy and vitality for a better dream-accomplishing life. 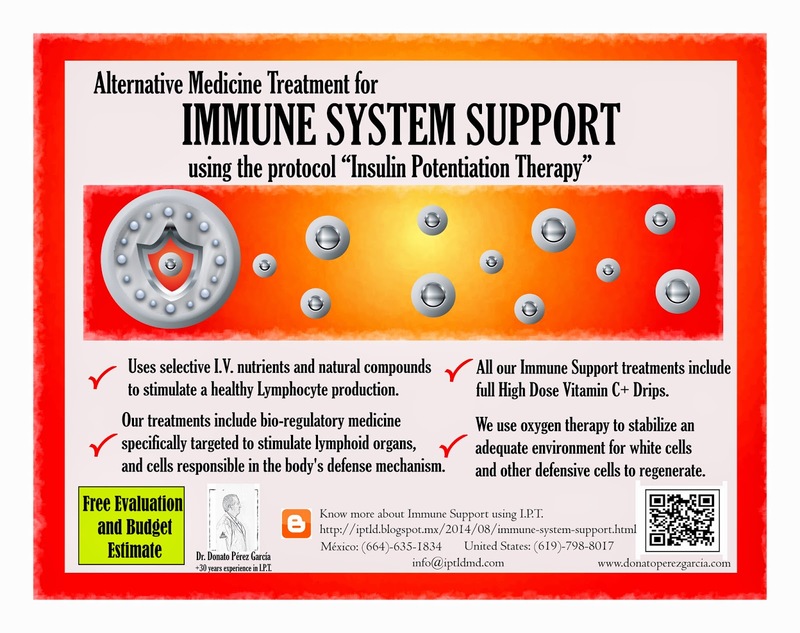 Our Immune System Support Treatments, perfectly combine the right dosage of biological medicine ampules to trigger white cell production, I.V. essential nutrients specifically designed to strengthen the lymphoid organs PLUS energy boosters for maximum immune efficiency, all administered using the protocol “Insulin Potentiation Therapy”. 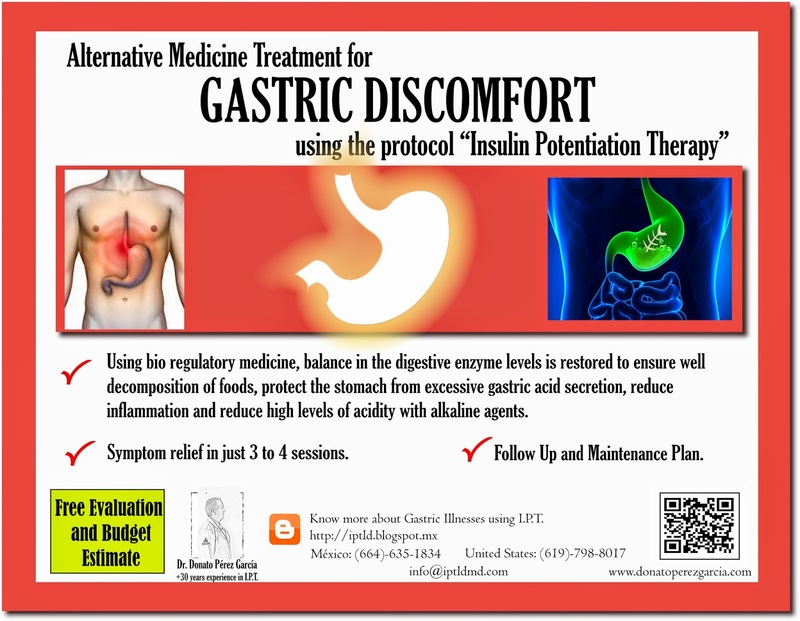 Using Bio Regulatory Medicine, the balance in the digestive enzyme levels is restored to ensure well decomposition of foods, protect the stomach from excessive gastric acid secretion, reduce inflammation and reduce high levels or acidity with alkaline agents, all this in only 3 sessions. Need More Energy? Why not give our IPT Bio-Energy Treatments a Try? Full energy I.V. Boosters, essential nutrients and potent AntiOxidants to add vitality, a full Detoxification I.V. Protocol to remove clotted toxins, Oxygen Therapy to elevate O2 cellular levels PLUS a Nutritional- Detox Guideline to follow from home. Add the energy you need for Life! GET THE TREATMENT. GET HEALTHIER. ACCOMPLISH DREAMS. i.p.t medical team of Donato Perez Garcia, MD. * All our treatments require a full medical evaluation by Dr. Donato Perez Garcia, a treatment proposal plan will be designed specifically for each patient. * All medication used in the IPT Therapies include biological medicine and a Maintenance Program. * The IPT procedure is very safe when administered by an officially trained IPT Physician.